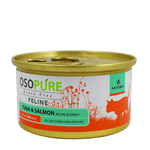 Buy Artemis cat food online at Pet Circle and enjoy the convenience of delivery straight to your door, always at the best price – or we'll beat it. Artemis produces all-natural, premium cat food with a focus on highest quality nutrition using only natural ingredients and methods. 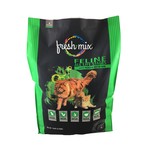 Artemis is dedicated to creating a whole-life approach to feline healthcare by employing a holistic approach to food, with a strong focus on balanced nutrition. 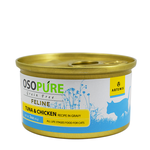 To support the good health and longevity of your cat, Artemis uses a balanced selection of fresh meat, fruits, vegetables, herbs and digestive enzymes in their recipes. 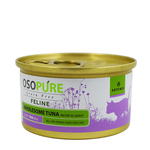 Artemis cat food is carefully designed with natural recipes to promote the health of all body systems in your cat. Benefits of Artemis cat food include a shiny coat, healthy joints, and small, firm stools with less litter box odour. 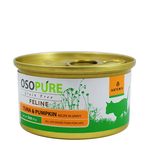 They also create a varied range, which includes both the ideally balanced Artemis Fresh Mix or the grain-free formula of Osopure wet and dry cat food. Their foods often contain low-allergen or hypoallergenic ingredients and novel proteins such as bison, salmon, duck, tuna, tapioca, pumpkin, garbanzo beans, peas, lentils, and flaxseed.